Pre-production work on Bond 25 is moving ahead 'as normal' despite director Danny Boyle and writer John Hodge suddenly splitting from the film last month. 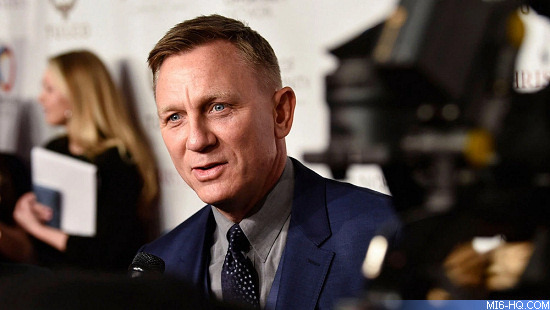 The script by John Hodge, which was a re-working of a draft completed by long-term series stalwarts Neal Purvis and Robert Wade, is now being touched up again with changes being made to reflect the wishes of the producers and Daniel Craig. Over at Pinewood Studios, sets are being constructed to the original timetable and plans. All efforts are being made to land a director in time to keep the production schedule intact. The hunt for a director is the top priority of producers, MGM and Universal. Variety has reported two fresh candidates who they believe to be on the short-list. British documentary filmmaker, writer, and director Bart Layton is a new name, along with S. J. Clarkson who is best known for her work on television series such as 'Dexter', 'Orange is the New Black', and 'Jessica Jones.' Clarkson was announced as the director of the yet-undated 'Star Trek 4.' She would be the first female director for that franchise as well as the James Bond series. Layton, who won the BAFTA for Outstanding Newcomer, currently lives in Australia with his family. As MI6 reported last week, Yann Demange - who was passed up for Bond 25 originally when Danny Boyle was signed - is reportedly back in contention. His latest film, 'White Boy Rick,' was unfinished as the time. A screening will now be held for Bond 25 stakeholders as he is recosindered. Layton and Clarkson are still to sit down with producers, MGM and Universal. A timetable has not been set, according to Variety. Since the report was published, its author Justin Kroll followed up on Twitter with the caveat that "there is still a chance EON and MGM take a Hail Mary shot for a big name like Edgar Wright or McQuarrie. Similar thing happened last go around lined up names that weren't necessarily A-list and then took their shot at Boyle."